Canada's highest income earners face the prospect of higher taxes under a new Liberal majority government, but those in the middle can expect a break. Keith MacIntyre, a tax specialist at accounting and consulting firm Grant Thornton, says people in the middle tax brackets could see a reduction in the federal income tax they'll be required to pay if Justin Trudeau's promises are put in place. "Certainly people in those brackets will be looking forward to that in terms of additional cash flow," MacIntyre said from Halifax. 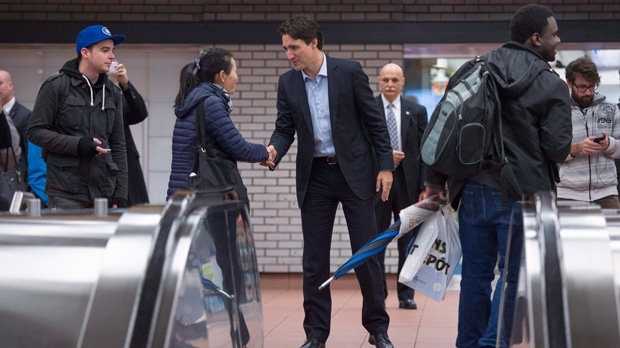 The prime minister-designate campaigned relentlessly on a plan to help what he described as Canada's middle class. Under the party's platform, the Liberals pledged to cut the middle income-tax bracket to 20.5 per cent from 22 per cent. However, to help pay for the cut, the party has promised to create a new federal tax bracket of 33 per cent for those earning more than $200,000 a year. The increase means that the top marginal income tax rate in Canada is set to be between 43 per cent and 58.75 per cent depending on the province, according to TD Bank. The bank says New Brunswick will have the highest combined rate, while Nova Scotia, Quebec and Ontario are also expected to have a combined marginal rate above 50 per cent. "It is going to be a new day for high-rate income earners in terms of the percentage rates they are going to pay," MacIntyre said. Those in the lowest tax brackets won't see a change in their tax bills under the Liberal plan, but if they have children, the party's new child benefit is expected to put more money in their pockets. High-income earners, meantime, will receive less under the Liberals' plan to eliminate the universal child-care benefit given its proposed replacement is aimed at putting more money into the pockets of lower-income families.